With the MLB season now officially under way, that can only mean one thing: The annual release of Out of the Park Baseball is finally upon us! If you’re a fan of sports sims, and particularly if you’re a baseball fanatic too, that’s great news! That’s because this year’s version builds upon the foundations laid in the previous entries in the franchise, and the result is a magnificent, detailed and realistic recreation of a baseball universe. 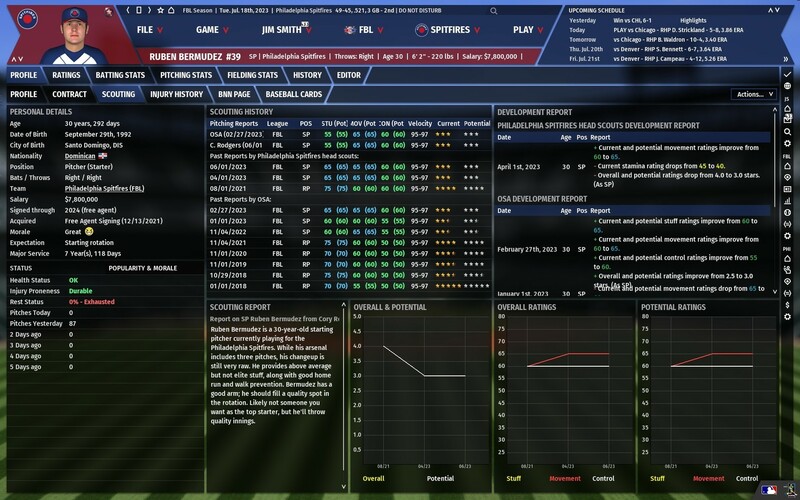 If you’re unfamiliar with the series, the game gives you the chance to become a GM or manager of any baseball team in any of the major leagues represented in the game. If that’s not enough, you can even create your own custom leagues and teams, allowing you to truly fulfill any baseball fantasies you may have. There’s no doubt that Out of the Park Baseball’s strengths lie in its recreation of a living and breathing baseball universe with statistics and data being at the centre of everything you do, and this year’s game is no exception to that. Its realism is highlighted by the fact that last year Out of the Park Baseball 18 managed to correctly predict that the Houston Astros would win the World Series, and their predictions for this year’s playoffs don’t seem that far-fetched either. With that said, what I love most about OOTPB19 is the ability to create your own baseball universe. This means that you can create your very own baseball teams, leagues and associations, with pretty much every aspect imaginable being able to be tweaked to your liking. Whether that be the number of teams in a league or division to whether or not promotion and relegation is enabled, OOTPB19’s level of customisation is unrivaled. There are also 800 new fictional logos that have been added which are great if you enjoy creating your own teams like me. Being from the UK, the game doesn’t allow you to play around with the real National Baseball League, which is understandable given that most people probably wouldn’t even know such a thing exists over here. Therefore, it’s great to be able to create the NBL and its teams in OOTPB19 and to be able add them to my own baseball universe. If you wanted to, you could create your own fictional leagues and teams and really let your imagination run wild with it. The amount of options available to tweak and change are unprecedented compared to any other sports management sim around. Unfortunately, the downside to having such a large amount of customisation are the prolonged loading times it can create, particularly when creating a world. It’s just something to be aware of, but the wait is well worth it once you get into your world. If, unlike me, you’re not a fan of creating fantasy baseball universes, you’ll be pleased to know that you can play through the game using only real-life leagues, such as the MLB, Nippon Professional and others. As OOTPB19 is fully licensed by the MLB and offers the latest team rosters, it offers the most realistic simulation of baseball on the market. 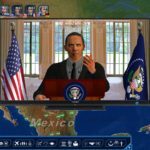 Not only that, but OOTPB19 also includes historical seasons that you can play through, allowing you to attempt to replicate or change history. If you happen to be interested in the more historical aspect of OOTPB19, you’ll be pleased to know that two new tournament modes have been included, one of which adds the ability to add any baseball team in history to your tournaments. 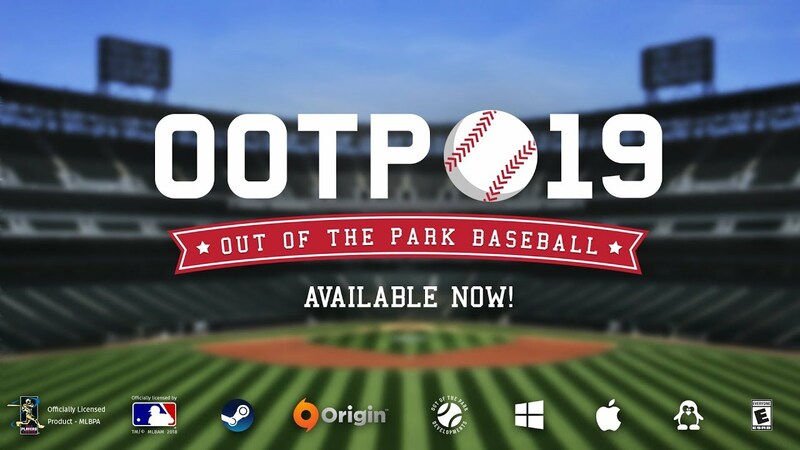 Of course, the latest version of Out of the Park Baseball plays pretty much the same as the previous versions, but as expected, this year’s edition comes with a range of new features and improvements over last year’s entry. One of the most noticeable changes that you’ll spot right away is the new and improved interface. OOTPB’s interface has had that sense of feeling slightly crowded, and while it’s to be somewhat expected with a game of this detail, it can be intimidating at times. Thankfully, the new interface goes some way to solving this by making it more streamlined, and that results in making the overall experience that bit less frustrating. I never found it to be too much of an issue before, but there was definitely room for improvement, and it’s great to see that the team behind the game have agreed and acted on it. While still not perfect, it is now easier and quicker to find what you’re looking for. For a newcomer to the series, it is definitely a welcomed change. One of the standout features of this year’s game though is the introduction of a brand new 3D match engine. For the first time in OOTPB history, you can now watch games play out in full 3D. For those players who don’t consider 3D to be important, the traditional viewing options are still available, but the addition of the 3D match engine helps bring games to life, and that should definitely help attract new fans to the series. If you’re looking for 3D graphics akin to something like MLB: The Show, then you’ll be disappointed, but that’s not what OOTPB is aiming for. At its core, the game has always been about its simulation, statistics and depth, but the new match engine is definitely a great addition to the series and will undoubtedly be improved upon further in future versions. Given this is the first version of the new 3D match engine, there are a few issues here and there though. The most common thing you’ll encounter will be the animations of players not matching with what you’d expect to be seeing, such as when a fielder doesn’t reach a ball when they perhaps should have done so easily. While it’s not game breaking or something that happens all the time, it can be frustrating nonetheless, but it’s clear that it’s a problem with the how the animations are being played, which don’t always add up to the result rather than your fielders actually being that terrible. 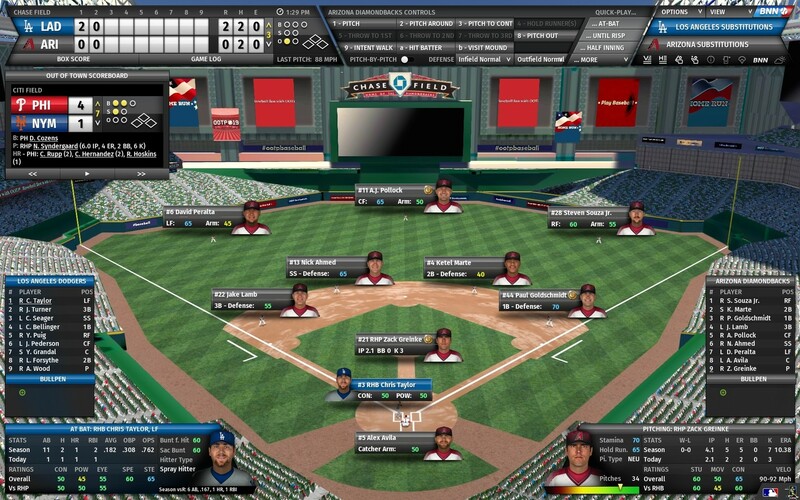 Football Manager had similar kinks when their 3D match engine was first introduced, and they still haven’t perfected it, so it’s important that the Out of the Park Baseball series is given time to mature and grow into the new match engine. 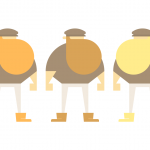 This year’s game comes with so many improvements that it’s nearly impossible to talk about them all. New features that are worth mentioning though include the new “ultra-realistic AI”, which does what it says on the tin. The AI in Out of the Park Baseball has definitely improved over the years, and this game is no exception. While trades proposed by other AI managers may not always seem fair or realistic, these tend to happen a lot less frequently. Overall, the AI is smarter, and that’s a good thing, although still not perfect. It’s easy to see why Out of the Park Baseball 19 is the baseball equivalent to Football Manager. While baseball and football are totally different sports that shouldn’t be compared, Out of the Park Developments should be applauded for creating a simulation game that rivals one of the most successful gaming franchises of all time, despite having a team nowhere near the size of Sports Interactive. There’s so much content and customisation in OOTPB19 that it’s a game that will be enjoyed by both passionate baseball fans and those who have never watched a game in their life but have an interest in stats and simulations. If you skipped last year’s version of Out of the Park Baseball, you’ll definitely want to pick up this year’s game. In my opinion, it’s the best Out of the Park Baseball game that’s been released. Not only will you get all the latest rosters and teams, but you’ll also be getting a vastly improved game compared to previous years thanks to the introduction of a brand new 3D match engine and a number of tweaks and improvements which make the game that much better than its predecessors. If you’re looking for a more in-depth look at how exactly Out of the Park Baseball plays out, you can check out our review from last year here.